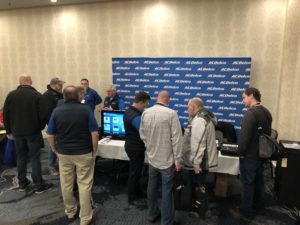 Craig Van Batenburg, founder of the Massachusetts-based ACDC hybrid training company offered 24 technical tips for getting involved in EV diagnostics and service. 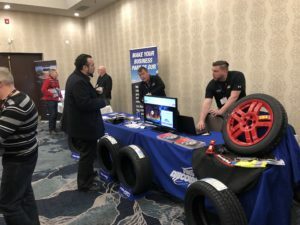 Energized by a new mandate to pursue meaningful access to OE service information, tools, and training, the Automotive Aftermarket Retailers of Ontario held a successful symposium in Oakville, Ont. on the weekend. 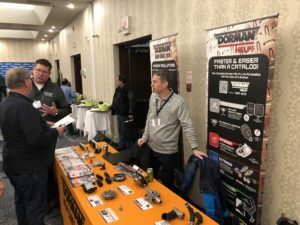 Scores of shop owners and technicians turned out for the event which featured a strong line-up of technical experts and industry advocates, as well as an afternoon trade show. 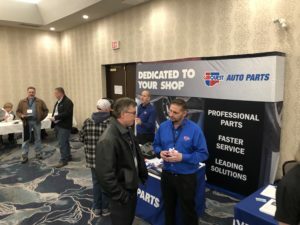 AARO executive director Diane Freeman said she was pleased with the turnout, suggesting it has everything to do with the association’s determination to fight for the aftermarket’s Right to Repair. 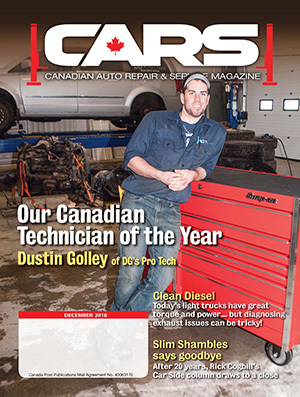 The association recently withdrew from the National Automotive Trades Association (NATA), saying it has been too complacent about carmaker exclusions and restrictions when it comes to giving independent repairers access to service information. 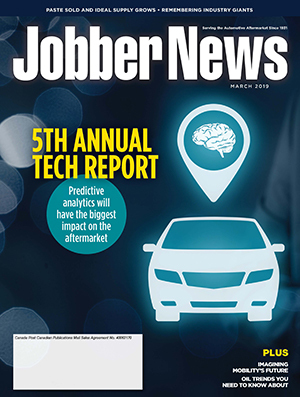 It has developed its own reporting system for identifying gaps in information access and will submit them to the U.S.-based National Automotive Service Information Task Force (NASTF). 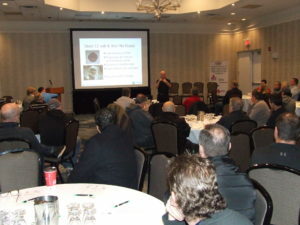 The crowd heard from U.S. and Canadian technical experts as well as industry advocates. 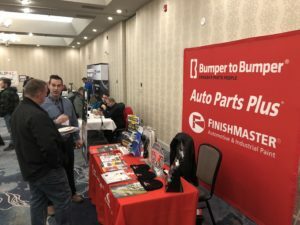 Following the presentations, lunch was served in the trade show. 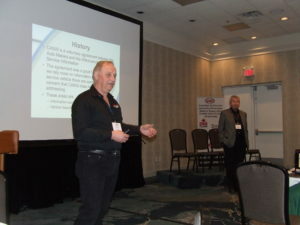 Barrie, Ont.-based trainer and troubleshooter Mark Lemay of Auto Aide (left) and Toronto shop owner John Cochrane (right) explain the need for a new approach when it comes to securing OE service information. 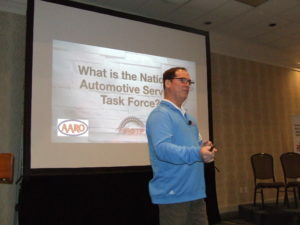 Donny Seyfer, chairman of the National Automotive Service Information Task Force (NASTF) offered an overview of the ongoing campaign to ensure open and free access to OE service information. 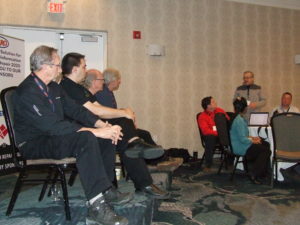 A panel of service providers and trainers take a question from AARO president Rudy Graf (standing). 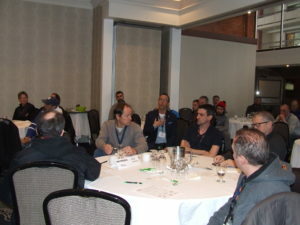 From left, the panel consisted of Al Playter of Centennial College, Montreal-based trainer Yves Racette, Craig Van Batenburg of ACDC, and Eric Mileham of Green Tree Auto Care in Orangeville, Ont. 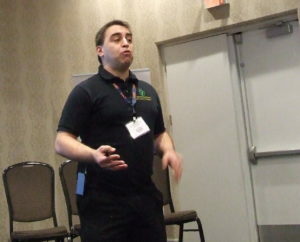 Montreal trainer and technical consultant Yves Racette offered advice on handling difficult service work. J.F. 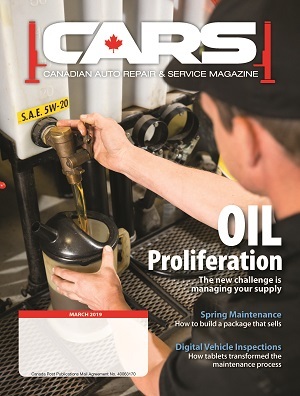 Champagne, president of the Automotive Industries Association of Canada, attended the symposium as a guest but was called upon to discuss from the floor AIA’s view of the complicated relationship between carmakers and the independent repair industry that wants access to service information. 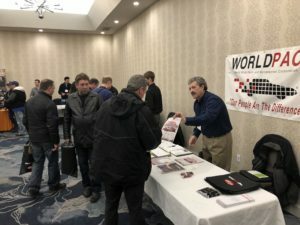 This was a very successful symposium put on by AARO. Congrats to Diane and staff for organizing such a good event. 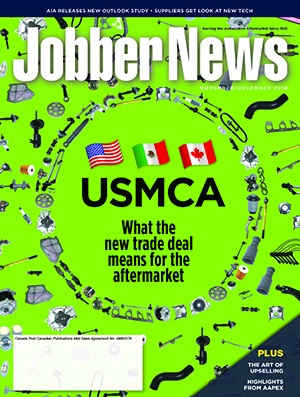 AARO is really making advances toward making its members aware of what is effecting our industry. This is a good group to belong to. They fight for our industry to make it better.